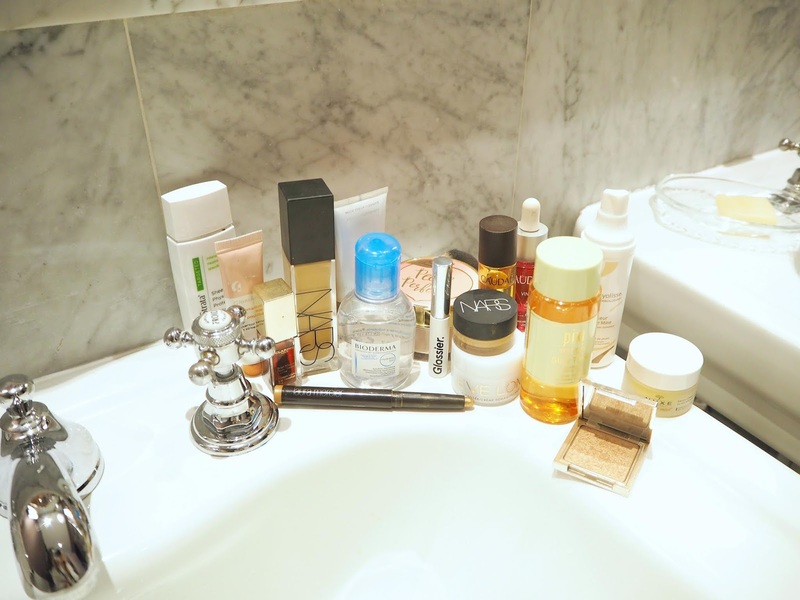 I have to preface this post with the statement that I'm from a long line of beauty junkies. 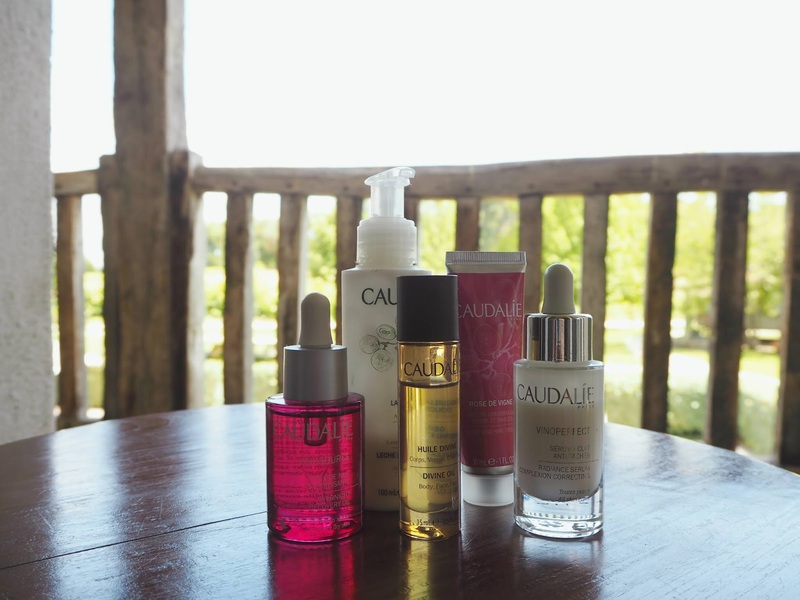 A few months ago my mum spotted that one of my favourite skincare brands Caudalie has a hotel and spa out in the French countryside and I was 100% sold! After all, wine, skincare, good food and the sun are a few of my favourite things... Although I've shared bits and pieces on Instagram and in My Week in Lipsticks #7, today I wanted to sit down and gather together the photos I took (apologies - some of these were taken on my phone, you know how it is!) 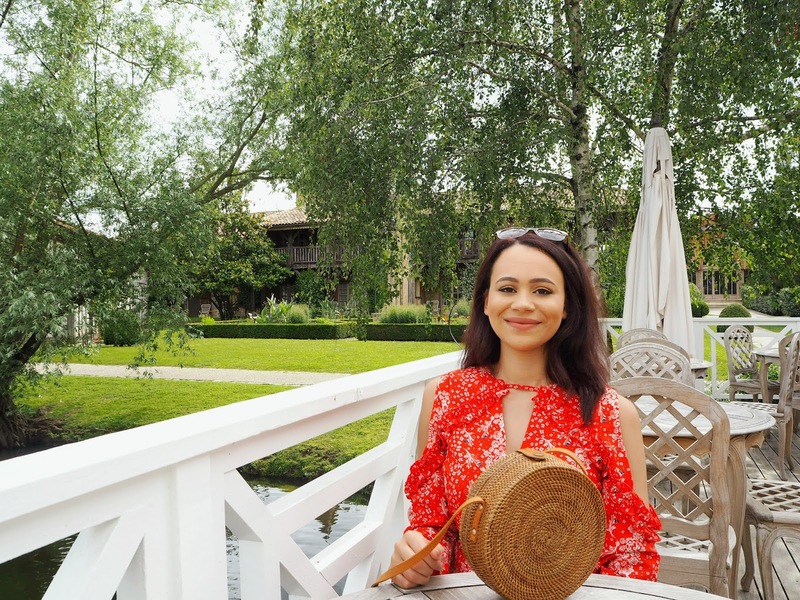 and give you a proper rundown of the trip; reviewing the hotel, making recommendations and sharing some of my go-to fashion and beauty bits from my time away, so I hope you enjoy. 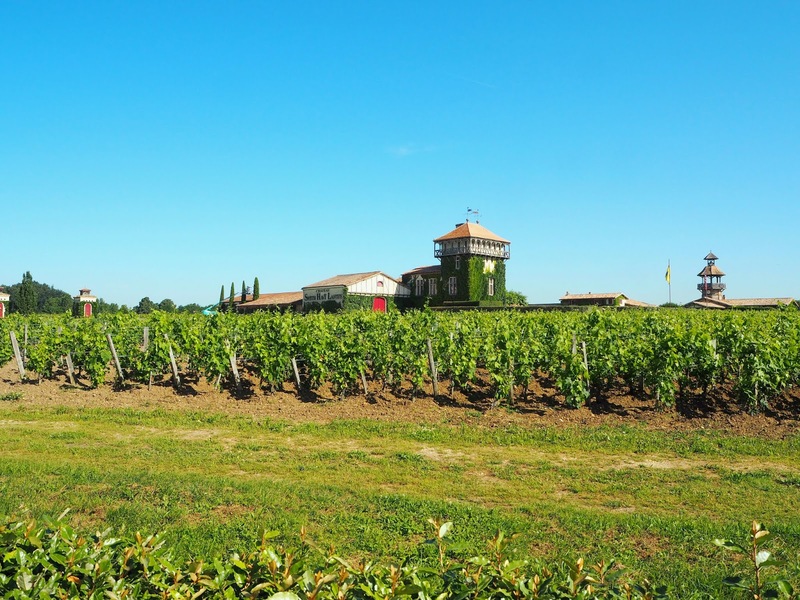 We stayed in an area called Martillac, which is a little outside the city of Bordeaux (which is where you fly to). The downside is that you can't easily get there on public transport so a taxi or hire car are pretty much your only options. The upside is that it's nestled in the most gorgeous bit of countryside. 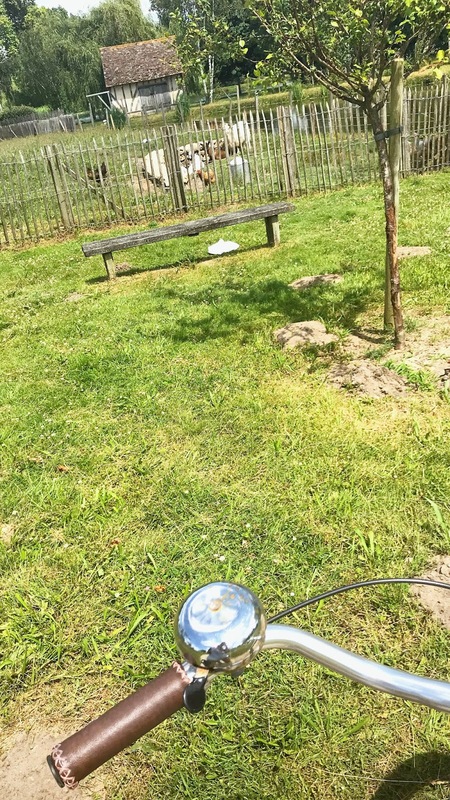 Don't get me wrong; I'm a city girl through and through, but it's just nice to get away from it all and for such a short period of time, it didn't feel as though we were in the middle of nowhere at all! Most people we came across spoke very good English (as there were people staying at the hotel from all around the world), however I have semi-passable GCSE-level French so generally knew what was going on regardless and my mum can still get by after having lived in France many years ago. The Les Sources de Caudalie hotel was the real star of the show and I've never been anywhere quite like it; if I could wake up there every day, that would pretty much be my dream life! 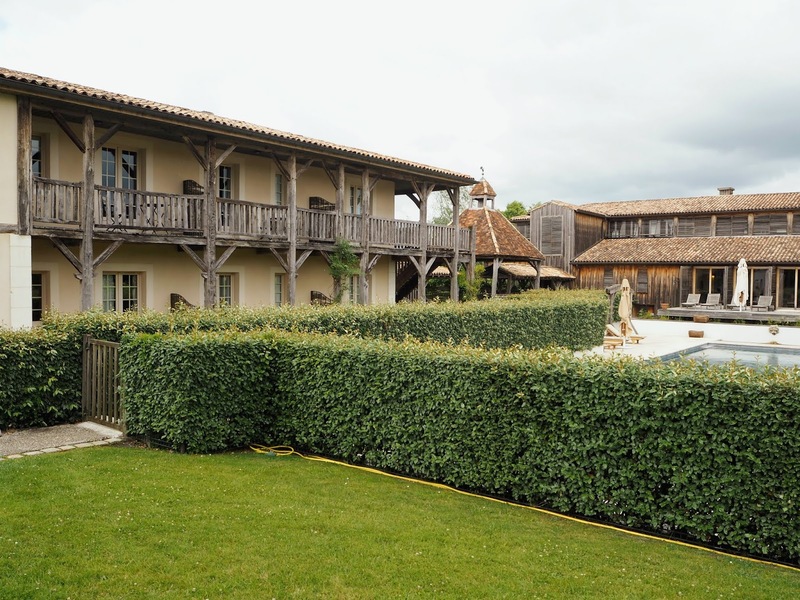 It has the most beautiful rustic, traditional features and every room offers a new and interesting decor experience - it's honestly a treat to walk around. It doesn't have a bad angle; where most hotels only show their best bits online, I actually think the photos I'd seen prior to going don't do its beauty justice. 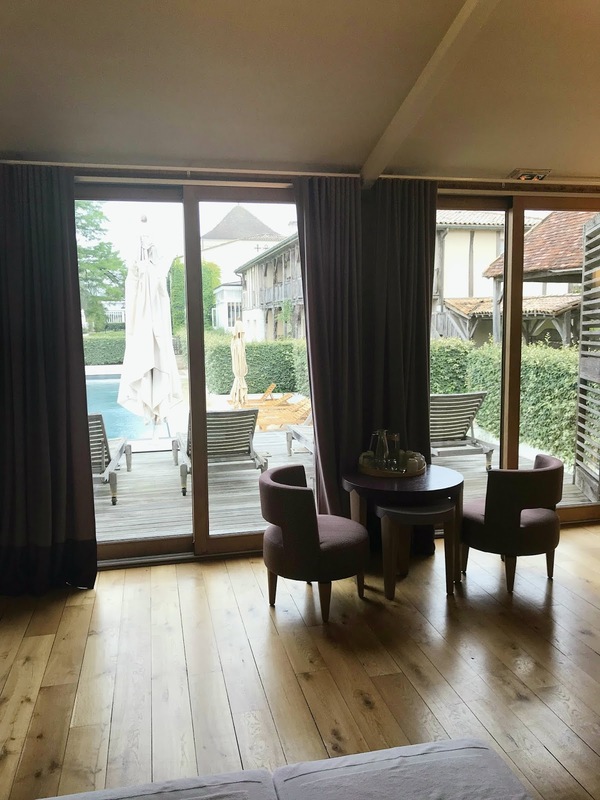 There are lots of different areas in which you can just relax, however there's also a bar and a wine terrace overlooking their little lake (which is pictured right at the start of this post). 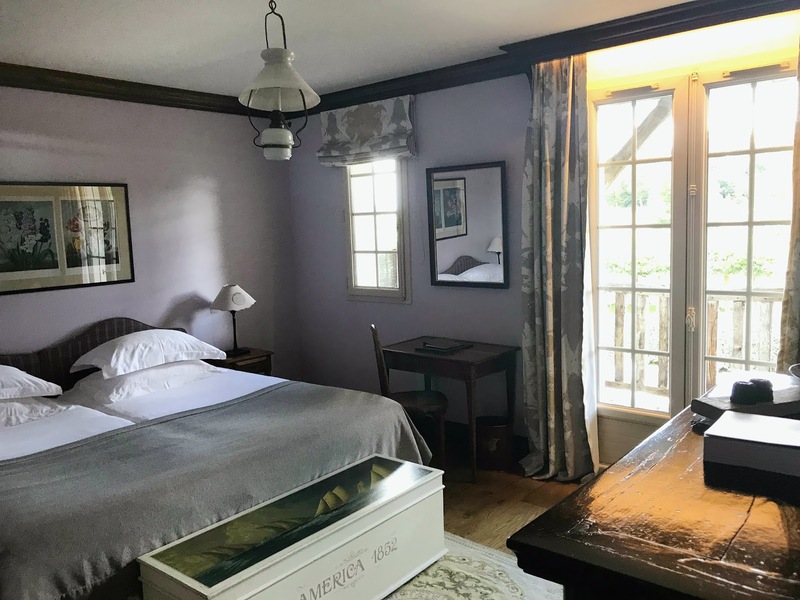 Throughout the hotel you can drink wine from the Chateau Haut Smith-Lafitte, which is a two-minute walk across the road from the hotel. 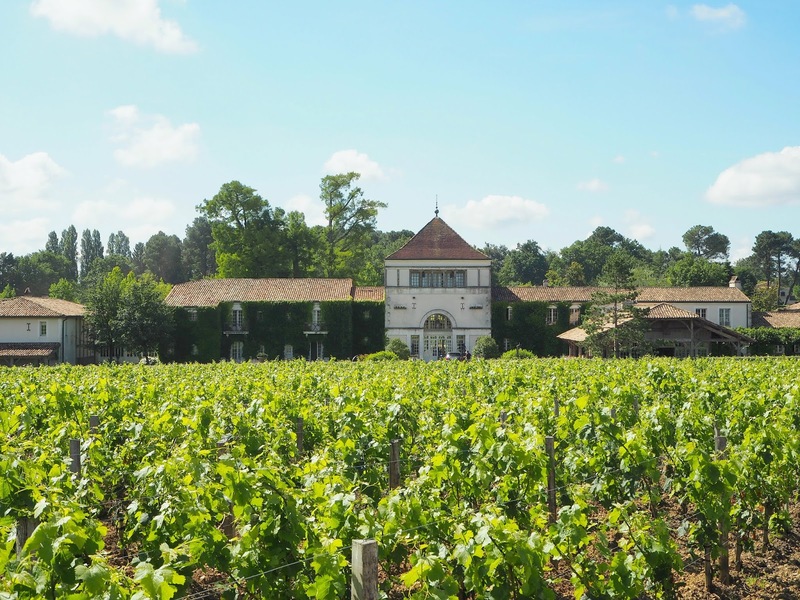 It also has extensive grounds including vineyards that you're free to explore. There are two main restaurants and an indoor bar as well. There's also a separate wine bar in another building which serves tapas - this is where we went for a nice light lunch every day. There's a large pool building, a boathouse and then of course the spa. One of the restaurants has a Michelin star, however we ate in the other one - La Table du Lavoir - as they offer a deal whereby you get breakfast and a three course meal (you can choose whatever you want from the a la Carte menu or the dishes of the day, which was great) for a fixed price. The portion sizes weren't huge however I really enjoyed the food each night and overall the service was very good and friendly (it was just the final night we were there that we found things a bit slow). We also saw Donald Sutherland there one night! I knew he looked familiar however at this point he'd just been speaking fluent French and I 'knew' the person I was thinking of was American, however I was just convinced so did a subtle Google. I discovered the actor I had in mind was the French Canadian Donald Sutherland - as soon as he spoke English it was so obvious as you can't mistake that voice, however I did confirm with the waiter after he left. Everyone was so chilled about it - maybe they're used to seeing famous faces! The room itself was also lovely and continued the rustic countryside theme. The entirely marble bathroom was also beautiful. I slept so well in the hotel and the curtains really did block out the light, though breakfast was only on until around half 9, so I didn't get lots of really long lie-ins. There was a Nespresso machine with free pods in the room, which I made use of! Breakfast was definitely a step above the usual continental fare - the fruit was lovely and there was a good selection of breads and pastries, plus you could order some hot food yourself so it was cooked fresh. There was actually even wine alongside the vast selection of juices! Overall, it was one of the loveliest places I've ever stayed! I don't usually go on holidays where you just stay in the hotel and its grounds but this felt both vast and intimate at the same time. It was so peaceful and isolated but still had a really nice atmosphere. 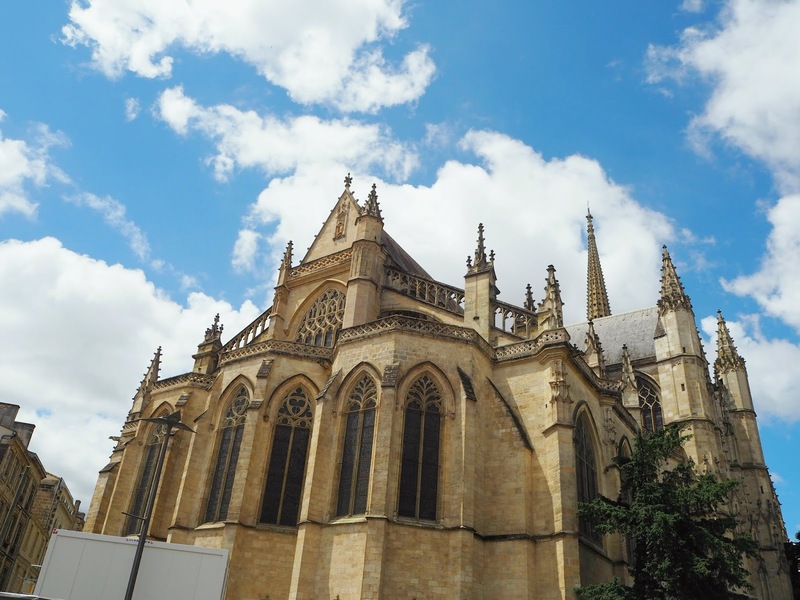 Obviously our flight landed in Bordeaux, which is around a 20 minute drive from the hotel. We decided to use the opportunity to explore the city a little. It's a pretty place, though I didn't feel we really needed a second day there. We had a casual stroll in the sun and I felt like we saw everything we needed to in that time. If you're planning on visiting the surrounding countryside, I definitely recommend getting a morning flight so you can see the city before heading to your final destination. By some miracle, the following day was forecast to be kind of overcast (the only bad weather we experienced during the trip) and that happened to be when we'd booked in for the spa. As with the restaurant, you absolutely have to book this pretty far in advance - we actually made sure we could get into the spa before we even booked the hotel and flights! You can't actually even use the facilities if you're not booked in for a treatment, which I guess isn't great for hotel-only guests, however I did appreciate how peaceful and quiet it was. 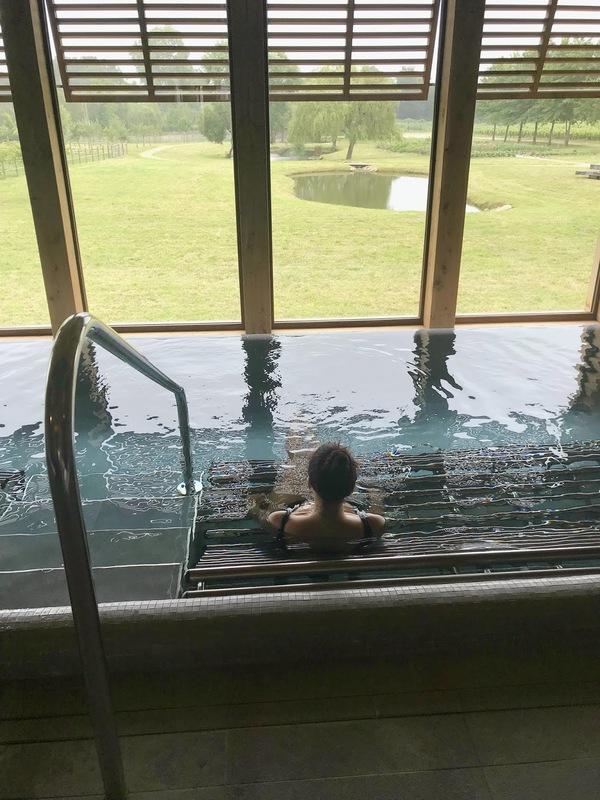 There are both indoor and outdoor pools, a jacuzzi, a sauna and a steam room, plus you get free grapes from their vineyards, herbal tea and of course lots of mineral water. The treatments themselves were admittedly very expensive, however I knew I loved the brand and products and it was probably the best spa experience I've ever had. I went for the 100% Grape Ritual (you can check out the brochure here) which was just incredible! It started with a facial and I got to choose the focus of it so went for radiance, because I'm always in need of a glow boost. It was lovely and relaxing and I honestly think my skin looked so good afterwards! It looked fresh, radiant and healthy, which is always my aim. 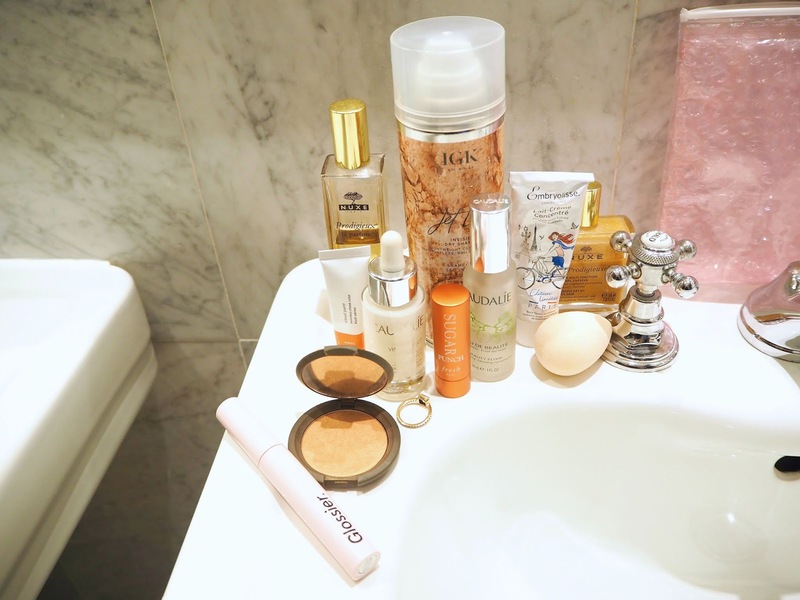 They sell the entire Caudalie product range at the hotel and the spa, however I actually own almost everything used in the facial already... After chilling by the pool for a little while (watching Love Island, of course!) it was time for round two: an amazing body exfoliation followed by a relaxing massage (again, you get to choose the focus of the massage - such as relaxation, muscle ache etc. - and also the oil used). I'm definitely interested in trying their body scrub and more of their oils after that because my skin was so lovely and smooth afterwards. Plus, I just always enjoy switching off and tuning out for a little while. 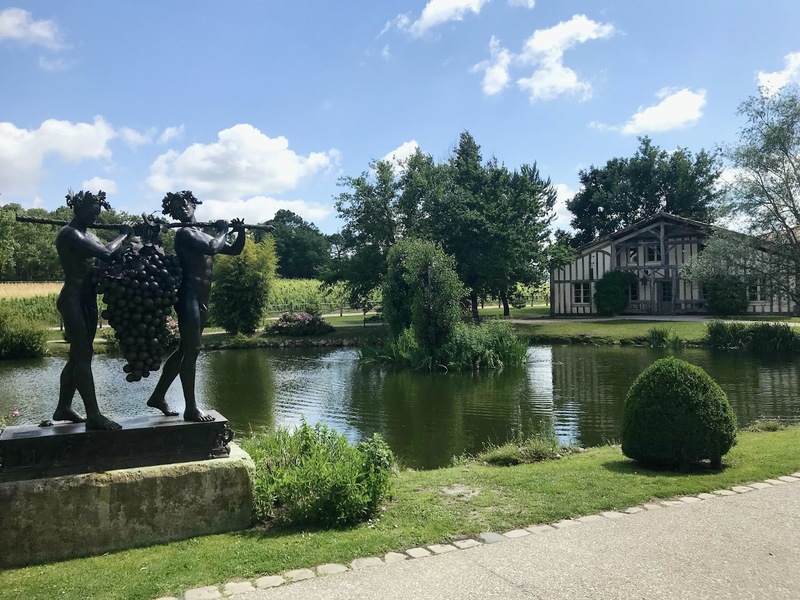 On our last full day we hopped across the way to Chateau Smith Haut Lafitte for a tour of the place, to learn its history and discover how the wine is made and finally to taste a little selection. I knew wine was technical but, as a £5 bottle kind of girl, it was an eye-opener! 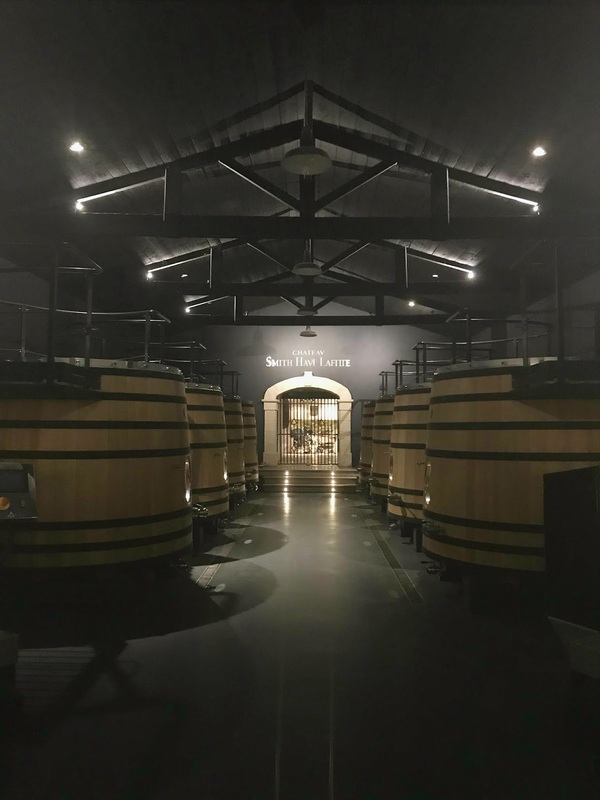 However it was interesting, informative and didn't go on for too long, plus it was so cool to see everything from the cellars to the barrel-making. I treated myself to a bottle of the Le Petit Haut Smith which was absolutely excellent and also a wine stopper as a more permanent souvenir. 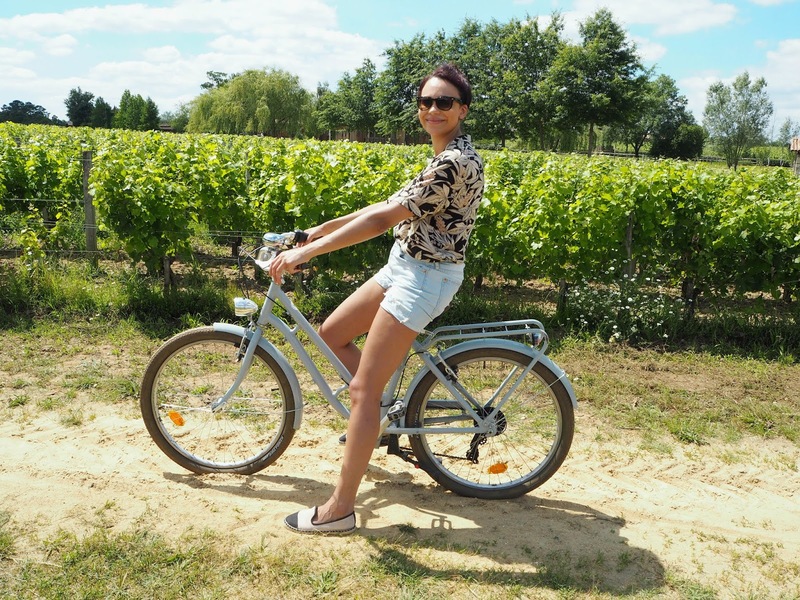 That afternoon we went for a little bike ride around Caudalie's vineyards and the rest of their grounds - or rather I did because my mum gave up after a few minutes and walked behind me! The vineyards and woods they own really are vast and you can borrow a bike from the hotel for free, so it's a great way to explore and get out there. I've found some really great pieces this summer that served me well on the holiday so I thought I'd share these with you too. The first is my ASOS DESIGN Cami Wrap Front Jersey Jumpsuit with Peg Leg | £25 (I actually have the Tall version and they do it in Petite). I can't believe this is only £25! I really wish they did it in more colours but I'm half tempted to get a backup in black... It's just so comfortable (I wore it for the flight) and flattering in how it cinches in at the waist and the peg leg style masks the stomach. I never feel self conscious wearing this and it just gives that 'effortless chic' vibe. It's £25 so I know it won't last forever but so far it's washed really well. The next piece is the River Island Ruffle Cold Shoulder Detail Floral Print Dress which is £46 but currently reduced to £27.50. It's just a really good day-to-night option because it's not too dressy but is smart enough to wear to dinner. There's quite a bit going on with the asymmetry, ruffles, print and cold shoulder (so it won't be for everyone) however I really like this! I've also been wearing my £8(!!!!) Matalan sandals a lot - I can't actually find these online now but you might still be able to grab them in-store. I'd never have though to check out Matalan but came across them because I had a specific idea on what I wanted and these came up on Google Shopping. I'm also super into the Betsy & Floss Palermo Round Basket Bag | £50 | I got for my birthday. 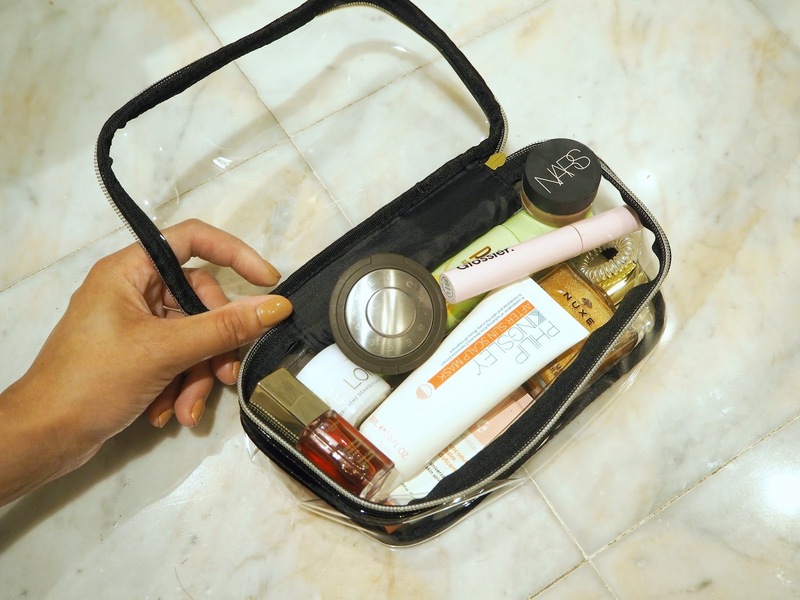 It's the perfect basket bag to me; it's good quality without breaking the bank and you can actually fit a decent amount in here! As we were staying at Les Sources de Caudalie (and because I had hold luggage!) I decided it was only right to bring along a little selection of their products and show them some love. My most-used products were definitely my little mini of the Divine Oil | £28 for full size | and the Vinosource Overnight Recovery Oil* | £28 | review. This dry oil smells absolutely beautiful and contains a blend of natural goodness. It can be used on the body for super-soft, nourished skin and also smooths and hydrates the hair. The face oil is something I used every single night - it's lightweight, absorbs quickly and leaves my skin so soft, hydrated and smooth. It was really funny because when I posted some of my bathroom shelves on Instagram, people were like: 'wow you packed so light!' and I was like: 'girl, where did I say that was everything?!' My go-to sunscreen was the NeoStrata Sheer Physical Protection Broad Spectrum SPF50* | £34 | review. It's just so lightweight and easy to apply, plus doesn't pill up or leave a white cast on my skin. It's great to get such full protection in a quick and easy step. In terms of makeup - for evenings I always opted for the slow-burn-love of mine: Nars Radiant Longwear Foundation (Barcelona) | £35 | review. It isn't thick or heavy on the skin and is nothing too matte (but nor does it get too shiny on me), so it looks fairly natural whilst giving a healthy look and being long-lasting. For eyeshadow - I love the Laura Mercier Caviar Stick Eye Colour in Copper | £23 | review & swatch. It's long-lasting and crease proof but goes on so smoothly. 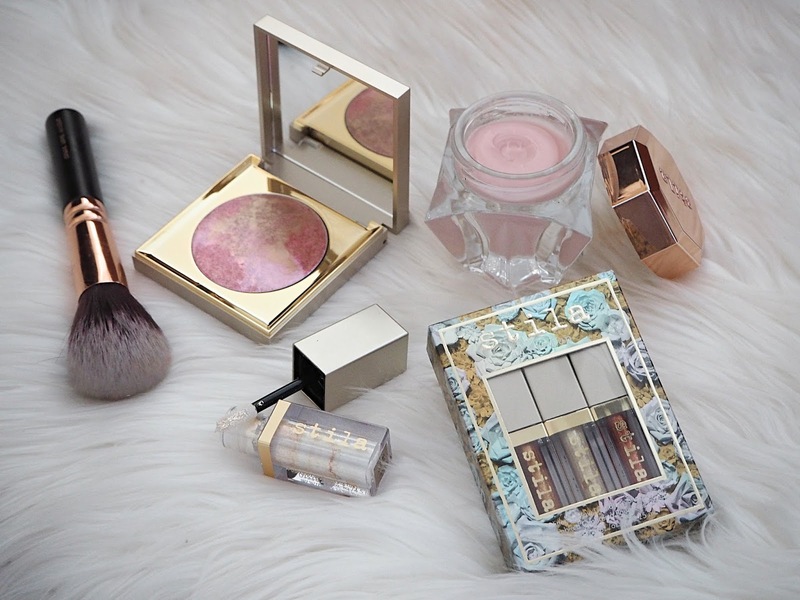 I love a quick and easy cream eyeshadow and this warm amber-gold with a metallic sheen is so pretty and natural. I'm really loving reddish-orange tones in my blusher this summer and I had two option I used a lot in France. First was the cream edition - Glossier's Cloud Paint in Dawn | £15 | review & swatch - which is one of the few formulas that works for my skin! For powder and a bit of extra glow, Becca's Mineral Blush in Songbird | £24 | review & swatch | is gorgeous with its golden sheen. I also love a sheer lip during the day on holiday and my go-to products were both colours that work well with these blushers. First is the Clarins Instant Light Lip Comfort Oil* | £19 | review & swatch | which is a glossy-look, non-sticky product that's amazing for hydrating the lips. There's also the Fresh Sugar Tinted Lip Treatment in Punch* | £19.50 | review & swatch | which is really nourishing, gives a wash of colour and contains SPF15. 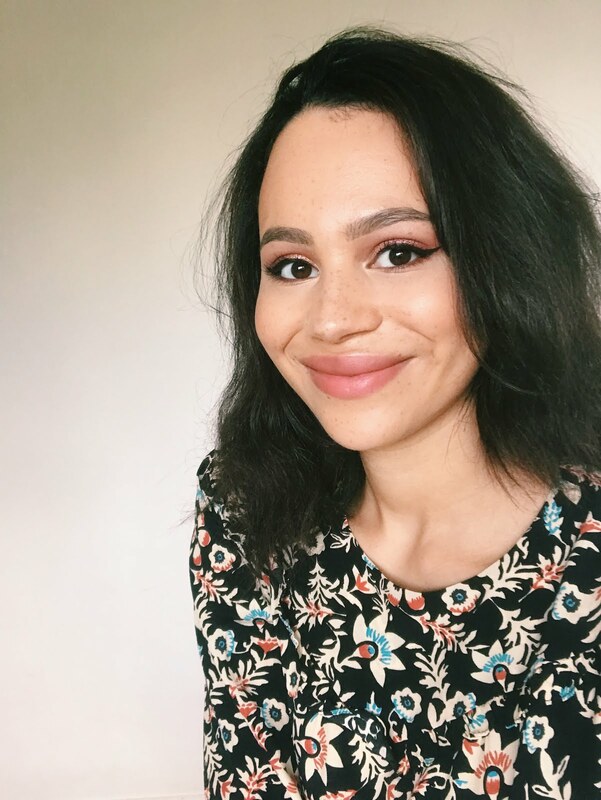 The mascara I used was Glossier Lash Slick | £14 | review. Although it doesn't give enough volume to be classed as a favourite, it's so long-wearing and doesn't flake or smudge, making it perfect for hot days. Normal mascara seems to just melt on me and irritate my eyes whereas waterproof formulas are a bit 'crunchy' and hard to remove for my liking. This is the perfect compromise! 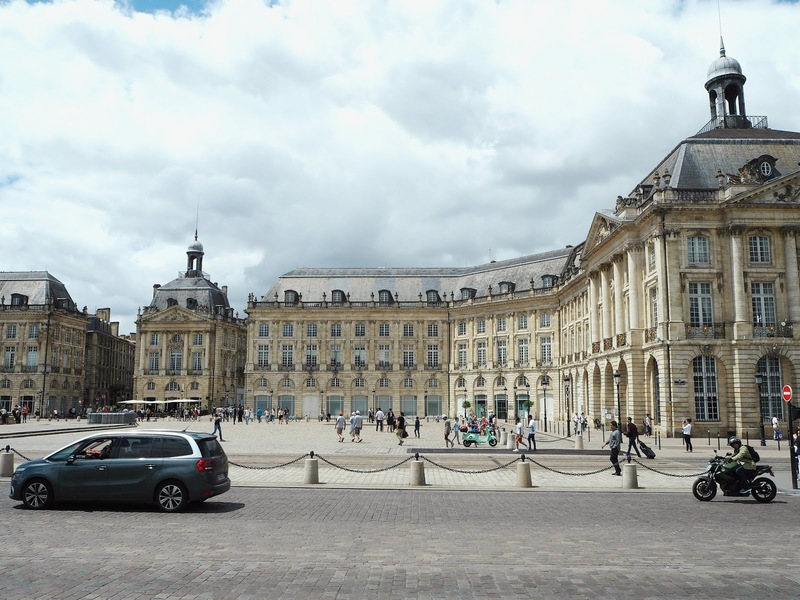 The Sunday shutdown: I must've either forgotten this from previous France trips or I've not really been doing much there on Sundays before, but in Bordeaux and the surrounding area, the shops were totally shut on the Sunday when we arrived. Even some of the cafes and restaurants closed early. 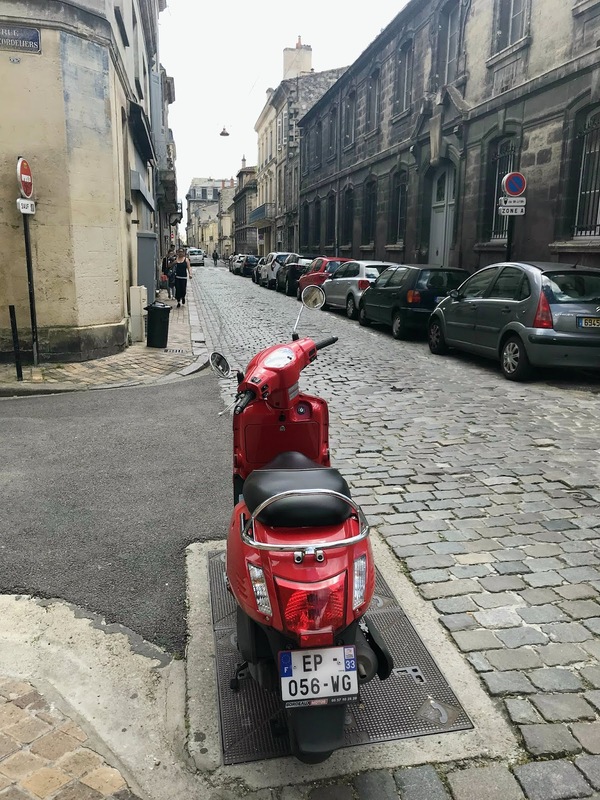 In addition, taxis charge higher rates on Sundays which meant a taxi from the airport to the hotel was more like €65 than the €40 advised by other travellers on Tripadvisor - ouch! Obviously you can't control when airlines have flights running, but if it's possible avoid Sundays and whist you're over there, maybe don't do much on a Sunday! 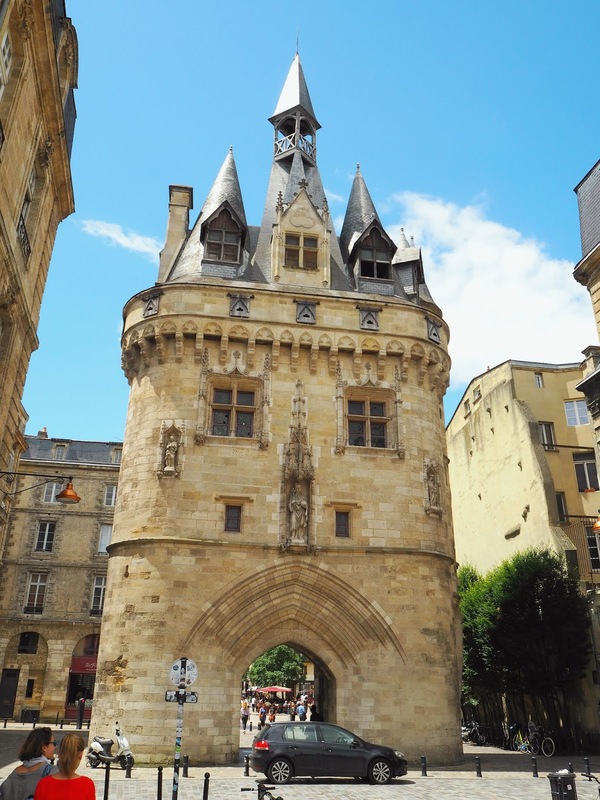 Have change: One of the most stressful experiences when we arrived in Bordeaux was putting our suitcases in the Left Luggage facility due to some supremely unhelpful members of staff. They advised the lockers only took coins, the change machine was out of order and we'd need large lockers, so the change I had from my last trip to Europe wouldn't be enough. They refused to help with getting change and couldn't suggest where we could get any. I ended up going round several kiosks at the station asking for coins and finally managed to get some when I offered to buy a cookie only if I could have all my change as coins! When I returned it transpired there was more than enough room for two cases in a locker, so the whole thing had been unnecessary - the staff could've told us that! French tea and coffee isn't English tea and coffee: I'm sure if you've been to France before then you'll know that most tea and coffee is designed to be drank without milk, meaning the teabags are weaker and the coffee can get a bit tepid if you then add milk to it (the opposite of in England, when if you drink your coffee black, people serve it to you scalding hot!) It's usually easier to bring your own tea, though our hotel did have English Breakfast. Book in advance: Like I mentioned, we booked the restaurant and spa well in advance after reading online that a lot of people assumed they could just show up and there'd be space for them. I think both are pretty popular with people who aren't hotel guests, so if you want to visit this place, I think it's really important to get these things sorted well ahead of time. 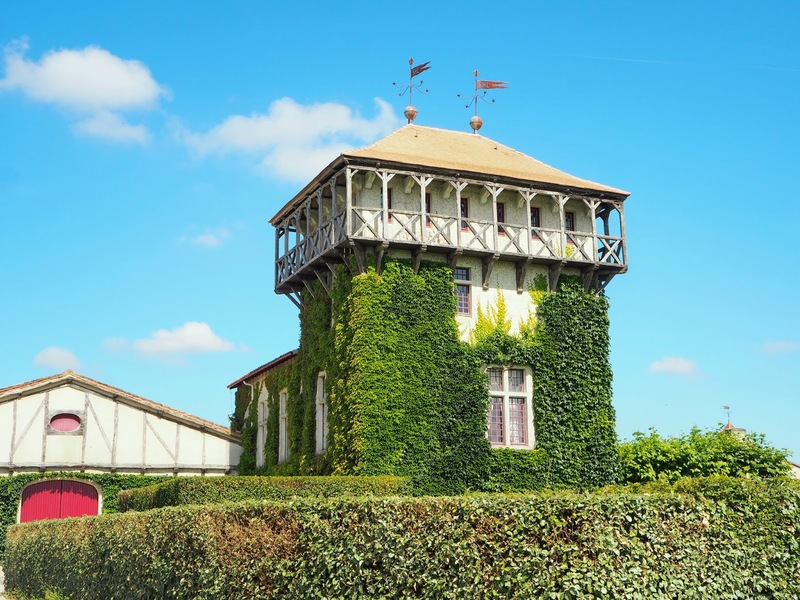 Have you been to the French countryside before? Let me know if you've tried Caudalie products and what you reach for on holiday!